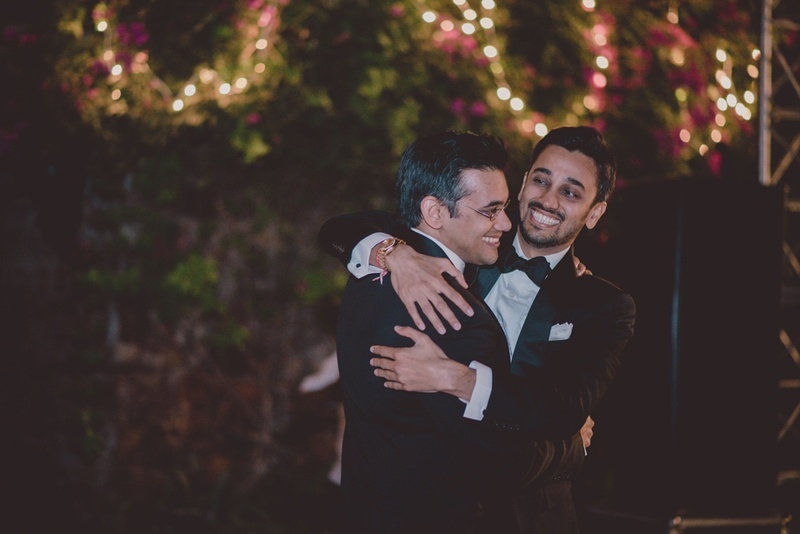 Wedding Speech from a Brother – Heartfelt, Happy and Honest. On our series of pulling up teary eyed bridal vows and grooms wedding speeches, we just couldn’t miss out the brother of the bride and groom. The person who has spent the most part of his life with the bride/groom and has all the secrets to spill! We found some aww-worthy wedding speeches, examples from brothers and best-men that are a perfect mix of sweet, rough and real. Let these wedding speeches inspire you to make your bride-to-be sister or groom-to-be brother’s wedding celebration a tad bit more fun and love filled! Play station nights, burger eating competitions, football in the rain and late night drives – through all of these times Veer and I got so comfortable in each other’s company even Serena and Venus Williams would be jealous! I still remember the first time he told me about Zaara, he was subtly shivering – and I just couldn’t figure out why. But once he started telling me about her more and more, I looked up at him and asked “Dude, are you in love?” and all he did was nod in the happiest way. From then on, I have been so honoured to be a part of this journey you guys are on. And even though the game nights are gonna be less frequent, it’s okay but just know that I will be crashing your dinner dates every once in a while to catch up on some Veer time! Growing up with Reena as my sister, I felt such a huge sense of responsibility towards her, even though I was the younger one. I always wanted to protect her, make her laugh and be her confidant – and slowly, overtime as we grew up, our relationship grew leaps and bounds too. We’ve shared so many special moments, secretly sneaked out for chocolate in the night and been each-other’s best friends through the best and the worst. It’s gonna be really hard not waking up to her loud singing voice or bugging her to get out of the bathroom quickly – but I’m gonna try my best not to sneak into your new house to do that. Ravi and Reena I am so happy that you two found each other. Ravi – you are one lucky, lucky guy! Reena is patient, kind, a little OCD but the biggest reason why she’s awesome is because Reena makes the best biryani in the world! Everyone knows Nikhil to be a stud. Always popular among the ladies, a pro at sports with a passion for work that can take over the world. But little do you know about the softie side of him. (Here comes the embarrassing part) believe it or not – He loves to bake and sing Beyoncé in his free time. He writes poetry and secretly watches ChickFlicks at home with his mum. Okay, this might not be entirely true haha, but Nikhil is one amazing guy and Tanya, you are so lucky you get to be with him! May your lives be filled with never-ending happiness, football game nights and loads of love! Rhea has always been the princess of the house. Pampered, spoilt, she always got what she wanted. I’ll have to admit, being the big brother I was always a little jealous but spoiling her was always at the top of my list. Rhea is the kind of girl whose eyes are full of excitement, hands are always ready to help and feet that will go the distance for you. Even with her pampered princess-like nature, she has grown to balance out the sassy lady she is and the humanitarian side of her beautifully. I’m gonna miss being around her and all her shenanigans but it’s a small price to pay to see her soar even greater heights with Eric right by her side! Ritika, hm. Where do I begin? Okay, let’s take it back 10 years ago when I found you crying in your room when Dad refused to get you a puppy. I think that was the first real kind-of-grown-up conversation we had – and from that no-puppy day sulking to seeing you here today, as a beautiful bride, I can’t feel anything but pride. You have grown to be a strong, driven woman who doesn’t let circumstances pull you down and I cannot wait to see all that you and Darren achieve as individuals and together as a team too.